It is a known fact that almost half of the money spent on utility bills goes to cooling and heating the area of a building. Mostly, energy costs are factually going through the roof. The roof is the first and the best defense against the winter chill and the summer heat. A poorly insulated roof can allow too much heat during summer, leaving many homeowners or building owners a huge amount of air conditioning bill. During winter, it also sets off more warmth, resulting to high heating costs. Hence, spending just a bit of money on a well-insulated roof can eventually provide savings on both cooling and heating bills. With the right ventilation system, an insulated roof will not only protect the building occupants from the outside elements, but it also keeps the building temperature cooler during summer and warmer during winter. When choosing the right roof insulation, it is advisable to consult a HVAC installer or read on and learn its different types, materials used, as well as the pros and cons of each material. This type of insulated roof comes in two varieties. The first type is the quilt insulation roll or also called “a blanket”. This is made from rock fiber, a mineral wool that is used as a standard material for empty lofts, stud walls, and below the timber floors. The second type is a fiber combined with an adhesive material. The adhesive may contain harmful elements such as the formaldehyde. However, with the advancement in this industry, a combination of two different curly fibers that bond naturally has been developed and eliminates the need for adhesives. This provides advantages of easy installation which requires no special training. It also offers two options, the recycled glass and sheep’s wool which are both environment friendly. It can insulate both small and large areas. Typically, sheet insulation is used in the inclined sides of the roof. It uses a firm board that is manufactured from various materials and comes with an optional moisture-resistant, fire-retardant, and decorative finishes. Cutting the board according to the desired size prior to installation can expedite the insulation process. 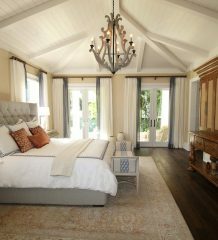 Sheet insulation uses environment-friendly materials such as wood board, straw, and cork. A building owner can opt for an expanded polystyrene board as it offers high R-value and is non-porous, eliminating the need for a building wrap. For those who opt for unfinished boards, they can have it covered with plasterboard. Some boards also have their own attachment methods for an easy installation. Moreover, the uncoated sheet insulation can be reused, making it more eco-friendly. Blown fiber insulation uses a mechanism of blowing-in various materials into the gaps between the roof’s joints. This requires professional installers as it uses safety gears and specialized equipment. Professional installers can get the job done quickly. One can choose from a wide variety of insulation materials including the greener alternatives such as recycled wool or paper. It is also makes a perfect insulation for difficult-to-reach spaces. Spray insulation uses chemicals that are made from polymers and foaming agents. When the foam is sprayed into a space, it expands to about 100 times its previous size and dries up as a corpus of polymer bubbles. Also, the spray foam expands into all nooks and crannies, providing the most reliable sealed insulation available. Its superb sealing quality reduces mildew and moisture in a building and prevents insect infestations. One of the natural options used for roof insulation is the sheep’s wool. 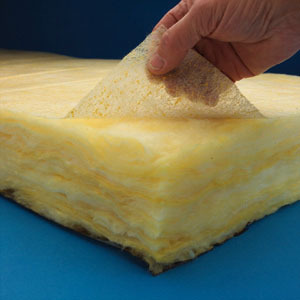 This material provides the highest R-value in roof insulation industry. Though it is somewhat a pricey option, sheep’s wool is great for roof insulation as it does not contain any harmful chemical. Another natural material used for roof insulation is the cellulose fiber. This type of insulation is made from recycled paper. It is not only environment-friendly, but also inexpensive and easy to install. Other natural and environment-friendly options include straw, denim, hemp fiber, cotton, and soya fiber. Mostly, edifices that were constructed before the 1970s are more likely have insufficient roof insulation. To make sure of the efficacy of the building’s insulation, conduct an energy audit. This can help in getting invaluable facts on how to improve the energy efficiency of a building. Overall, insulating the roof can help the building gain a high EPC rating, showing the probable buyers or tenants how energy efficient the building is. This only means that the higher the EPC rating of a building is, the more marketable it becomes. Hence, insulating the roof of a building is not only energy-efficient, but also a cost-effective way of increasing the building’s value.